The combination CaboCubajazz’ top notch musicians results in a completely new sound. 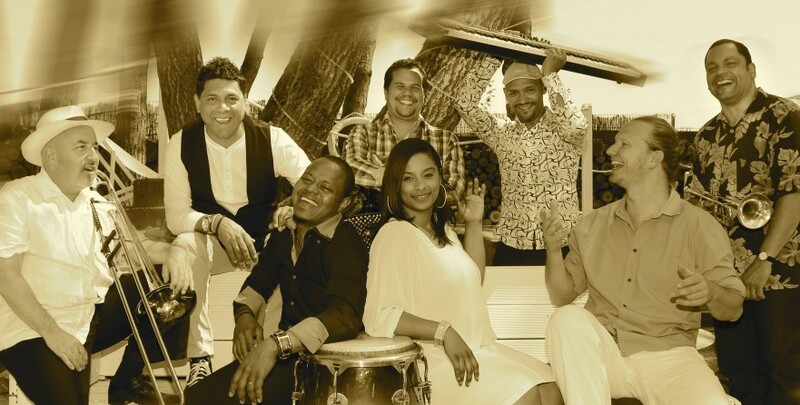 In an Inimitable way, the group blends the melancholy of the morna [Cape Verdean blues], the joyful dance of the [also Cape Verdean] coladera with a generous portion of sweeping Cuban rumba, salsa and jazz. The result: 100% CaboCubaJazz. Both the listener and the dancer are taken on a journey where desire, passion, subtlety and musical fire alternate. Their debut album Rikeza y Valor has received enthusiastic response worldwide. After a successful release tour as a quintet along the Dutch theaters and clubs, the 2013/14 tour includes performances in Thailand, Canada, Germany, Austria, Finland and Norway.The band is extended to septet or octet format on special request.